A quick example of the bleeding obvious: people speak differently in the UK and the US. If you’re an American fan of British TV shows—the originals, not the American remakes—you’re probably very aware that once in a while, the characters will utter a word that you won’t hear on the streets of your hometown. You can’t even talk with him these days; he’s just too tetchy . 2 Amongst, preposition While amongst is less favored than among in British English, it’s rarely seen at all in American English. There’s a grammar pedant amongst us, and I intend to find out who he is. We had a marvelous time during that holiday retreat. We try to get together for a family meal once a fortnight . Cheers Thom, I really needed that paper today. I bought a new keyboard today, but it’s rubbish so I’ll give it to my brother. Blimey , that escalated quickly! The hoover broke because it’s not supposed to be used to clean up spilled water. A bespoke suit is expensive, but it’s a good investment if you want to look professional. See that chap wearing a yellow bow-tie? That’s my biology professor. 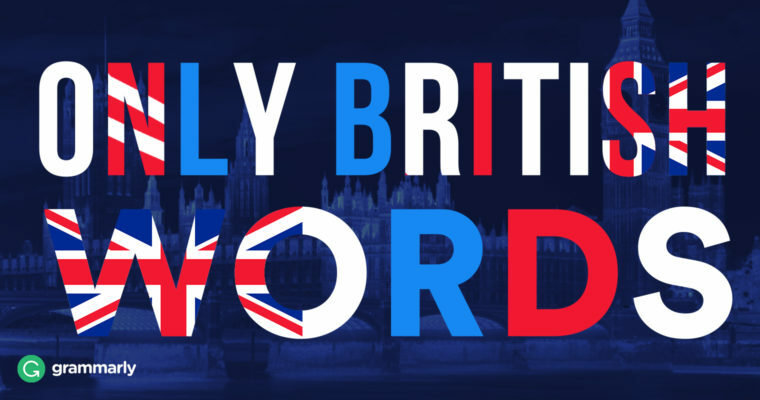 What are your favorite British words?